All-In-One PCs offer a variety of benefits because they do not require any additional equipment. All necessary components -- display, processor, graphics card, hard drive, optical drive, memory, etc... -- are bundled into one compact device. This rental eliminates the need to acquire other PC equipment, like a monitor and speakers. It is also a solution for those who are not tech-savvy and would like to avoid hooking up other equipment. Get a quote on an All-In-One PC Rental! 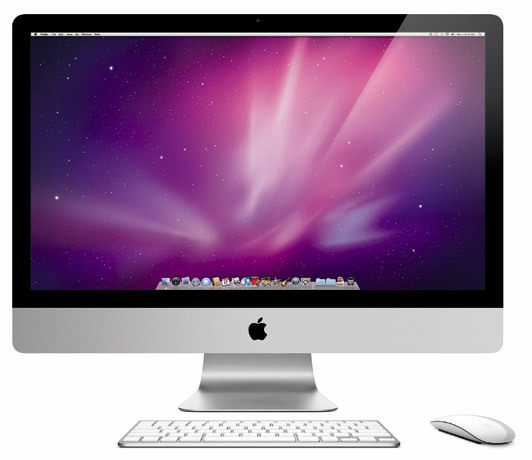 The most popular of the All-In-One computers is the Apple iMac. It was the first of its kind and has been the poster child for the generation of All-In-One PCs. Back when cathode ray tubes were around, Apple was the first to design and produce the iMac, a computer where everything was included in the monitor. Now with advances in technology, the iMac has taken all of the equipment and put it behind the LCD panel. This has made the All-In-One computer slimmer and more portable than ever. By integrating all the necessary computing components into a single device, there is no need for extra equipment like a tower and speakers. Get a quote on an Apple iMac Rental! or visit our Apple Mac Rentals page. 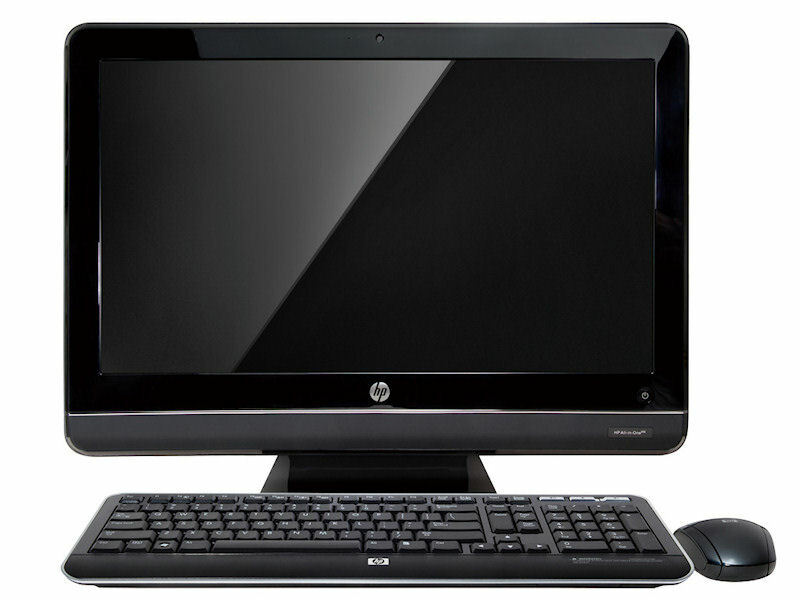 Currently, HP has two lines of all-in-one computers and they are gaining in popularity. The HP TouchSmart is HP's most famous all-in-one computer, the reason being it's dynamic touchscreen capabilities, allowing users to pinch, flick, rotate, arc, press and drag. The HP TouchSmart 610, their newest and greatest shown on the left, has a 23" HD display and a 60 degree cantilever, making it a perfect all-in-one computer rental package. The HP Omni has an HD display of 20"(120) or 21.5"(220) and has a new modern easel design. The new cantilever design gives the Omni a -5 to 25 degree tilt to accomodate most viewing angles. The Omni comes complete with a wireless keyboard and mouse as it does not have the touchscreen capabilities that the TouchSmart series has. 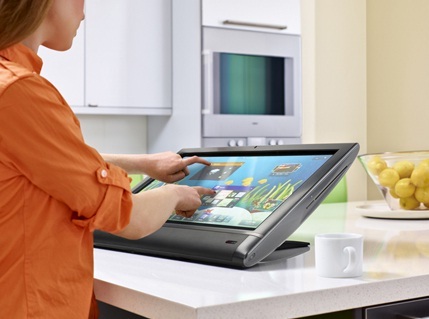 Get a quote on an HP All-In-One TouchSmart Rental or an HP All-In-One Omni Rental!